There are traditions, cultural boundaries and quite a few myths about engagement rings that can be confusing. Below are 4 engagement ring enigmas we hope will give you some reassurance for when you head off to buy that engagement ring! And remember – when choosing an engagement ring, just keep your loved one’s personality in mind and you should get it just right! It has to be a diamond, right? Somewhere in the early 20th century, a certain jewelry store had the right marketing campaign. And they managed to convince everyone that diamond is the only stone that should be seen on an engagement ring. Later on, the French decided to protest against this and make the engagement ring a bit more colorful. And so they started using gemstones. These days, however, consumers are turning more towards ethical and fair trade shopping. And there are quite a few jewelry shops offering conflict-free engagement rings. 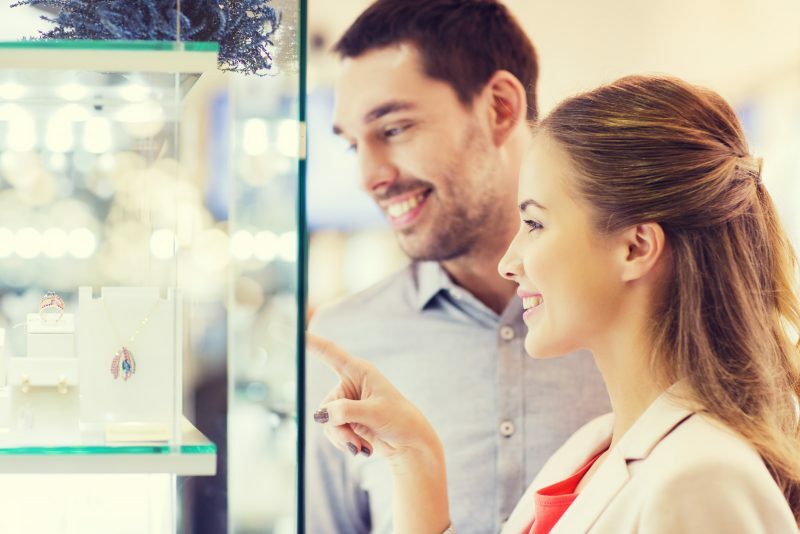 Using recycled materials, less controversial stones, and fair trade diamonds is becoming more and more popular among the conscious consumers. In many countries, it is the tradition for the girl to get a ring upon being proposed to get married. Seems kind of unfair that only one person gets a fancy ring when getting engaged? Apparently, they thought so in Argentina as well. Hence, both partners receive an engagement ring there! This could obviously mean a pricier engagement. But it would show a sign of equality and be a fun commemoration of the decision to spend the rest of your lives together. Should you choose the ring by yourself? You know your loved one best and know exactly what they want to wear on their finger forever, right? Wrong. Even though it is a very personal decision, it is easy getting lost in the flood of engagement rings. So why not asking your partner’s close friends or family to come along and help you choose the perfect ring? Another option is asking your partner what kind of an engagement ring they would want. Remember that friends and family might have some constructive feedback to share while you’re panicking over all the different shapes and sizes. And since you’ve already shared the big surprise with some of your friends and family, why not make a bigger event out of it? Many cultures hold celebrations and traditional engagement ceremonies. You don’t necessarily need to exchange dowries, but a nice party to tell your friends and family that they should plan a day off for your wedding won’t hurt anyone, right? And it’s the perfect moment for your loved one to show off that engagement ring you worked so hard on finding! So you’ve got the ring and are thinking about the proposal. And you don’t know which finger to put that ring on? Well, just to make things more exciting, this is different all around the globe. In North America, the future bride usually wears the engagement ring on the fourth finger of the left hand. This tradition originates in the belief that this finger is connected to the heart by the vein of love. Or at least that’s what the ancient Greeks believed. In Ukraine, for example, they usually wear the engagement ring on the right hand. And in some parts of Germany, the engagement ring is worn on the left hand only until the wedding day. Once married, they put it on the right hand. So, the best advice is – don’t stress about it too much. You could go by the norm in your country or surprise your partner with a tradition from a different part of the world. They will surely appreciate your decision either way!